Made his debut with Zalgiris-Sabonio mokykla Kaunas, NKL (Lithuania) during the 2006-07 season. Signed for the 2010-11 season by Aisciai Kaunas. On December'10 moved to Germany, signed by EnBW Ludwigsburg. 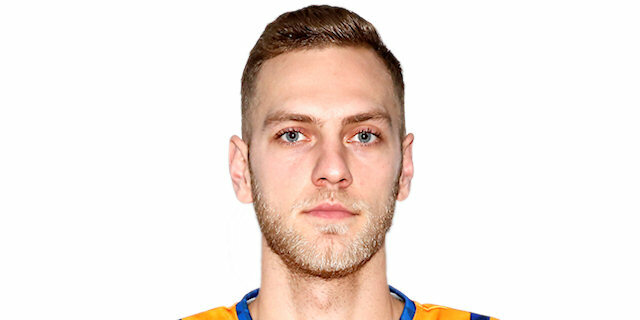 On February'12 moved to Latvia, signed for the remainder of the season by VEF Riga. Back to Lithuania for the 2012-13 season, signed by Rudupis Prienai. In January'18 signed by Pallacanestro Varese. Moved to Spain for the 2018-19 season, signed by Basquet Manresa. In November'18 signed by Baloncesto Fuenlabrada. Won the 2011-12 Latvian National Championship with VEF Riga. Won the 2014-15 and 2015-16 Lithuanian National Championship with BC Zalgiris Kaunas. Won the 2013 Lithuanian National Cup with BC Rudupis Prienai. Has been member of the Estonian U-16, U-18 and U-20 National Team. Played at the 2006 U-16 European ‘B' Championship. Played at the 2007 U-20 European ‘B' Championship. Member of the Estonian National Team.